Staying on top of your annual physicals is one of the easiest ways to keep your health in check: The screening tools and diagnostic tests that are used during an annual exam can help you understand your health risks and allow your doctor to spot problems early on before they become chronic. Dr. Neil Jaddou and the team at Somerset Family Medicine SFM provide annual exams and physicals to their patients from Troy or Sterling Heights, Michigan. Call today or book your appointment online for your work physical or GM physical, Chrysler or Ford physical. A physical exam is the best way to identify diseases in their earliest stages to identify disease risk factors. It also helps ensure your health is optimized at every age so you stay as healthy as possible. And having a yearly exam enables Dr. Jaddou to keep an ongoing record of your health and your care so he can spot changes or diagnose issues more easily. Finally, having an annual physical means you'll have an opportunity to discuss concerns about changes that may occur as you get older and for Dr. Jaddou to provide you with health-related guidance based specifically on your needs and your lifestyle. What is an annual wellness physical? The main goals of having an annual wellness physical are to assess your current health status, make note of any changes, analyze your health risks, and spot problems early on to either treat them or prevent them from developing. During the exam, Dr. Jaddou will record your current height and weight, check your blood pressure and pulse, listen to your heart and lungs, look inside your ears and nose, and draw blood to check your cholesterol and triglyceride levels. If you’re due for other specific screenings or vaccinations, depending on your age, gender, and medical history, Dr. Jaddou will let you know. He’ll also want to discuss any health issues or concerns you may have. Should I get a physical if I’m healthy? Even if you’re relatively healthy and have never experienced any major health problems, having an annual physical can still be quite beneficial. In addition to increasing your chances of catching potentially serious problems early on, your annual wellness physical creates a valuable record of your key health measurements, including your blood pressure, weight, and cholesterol levels. You can discuss any over-the-counter medications you may be taking, get nutrition and exercise recommendations, or ask for tips on how to improve sleep. Your annual physical also gives you a chance to establish a relationship with Dr. Jaddou, so that if you do develop a more pressing health problem, you’ll be more comfortable about seeking treatment. Before you go to your annual wellness physical, it’s important to make sure you’re prepared. Aside from the basic instructions, you’ll receive from Dr. Jaddou’s medical office to not eat anything after midnight if you’re having bloodwork, you should take some time to review your family history. Make note of any close relatives with heart disease, diabetes, or cancer. Dr. Jaddou will include this history in your chart, and keep it in mind when recommending lifestyle strategies that can help you prevent illness. 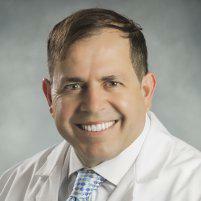 Your family history may also prompt Dr. Jaddou to suggest you have additional health screenings. If you’re not sure, you can ask whether you’re due for any specific screenings, such as a mammogram, pap smear, or colonoscopy. To get the most out of your physical, bring a list of your medications and any questions you’d like to ask the doctor, so you won’t forget once the exam is underway. 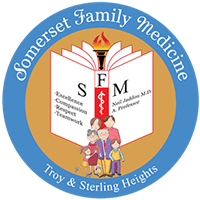 If you think you might be due for your annual physical exam, don’t hesitate to call Somerset Family Medicine SFM today to schedule an appointment. You can also use the convenient online booking feature.